Following on from the hugely successful Obstacle Race Magazine Roadshow hosted by ULTIMATE NINJA UK in March – we’re following it up with some events of our own for those who missed out – or just want another go! 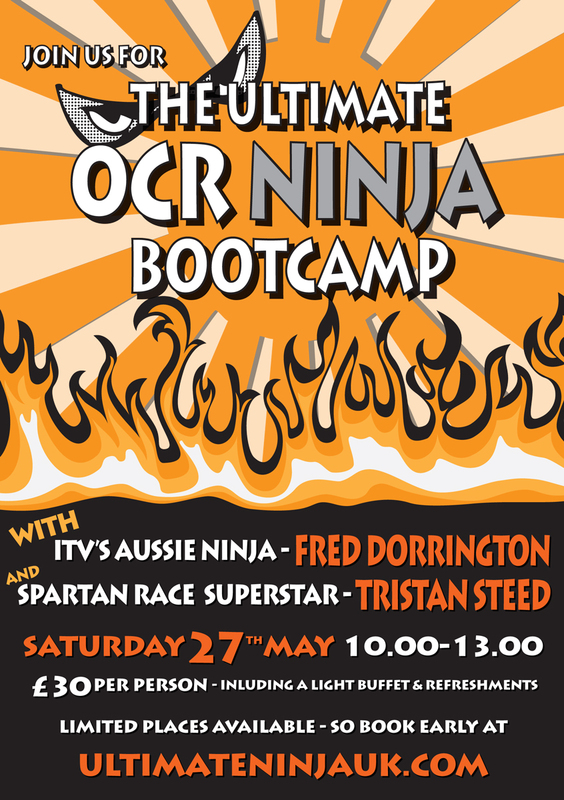 Join us for the Ultimate OCR Ninja Bootcamp on Saturday 27th May – with ITV’s Aussie Ninja, Fred Dorrington, Spartan Race/OCR superstar Tristan Steed and our very own obstacle expert and former PT to the Royal Family, Dave Rigg. Come and learn from the best and improve your OCR and Ninja techniques – train from 10.00 to 13.00 for just £30 including a buffet and refreshments!